At Pear Tree we recognise that learning about Online Safety is a vital life skill. Empowering children at a young age with the knowledge to safeguard themselves and their personal information is something that needs to be nurtured throughout school to see them into adult life. We feel strongly that our school should not be on “lock down” as this does not provide the learning environment to teach children and young people to be safe. Equally it is important for us to empower adults (particularly parents) with the right information so that they can identify risky behaviour or mitigate the possibility of risk. They can be sent using mobiles, tablets, smartphones, laptops…basically any device that allows you to share media and messages. Some of our children and young people are at risk of both receiving inappropriate messages and sending them so as parents, you need to be aware of how you can support them. For parents of younger children, the NSPCC have some great resources for teaching children about keeping themselves safe. Please take a look at the NSPCC “Let’s Talk Pants” with Pantosaurus and teach your children the underwear rule. The internet is amazing. Children can play, learn, create and connect, opening up a whole world of exciting possibilities. But how do parents keep track of what they’re doing and make sure they are staying safe? Agree rules about what is ok and what is not. NCA-CEOP Command-Who are you really talking to online? Lucy and the Boy-Be Share Aware. If, as a parent, you use social media, keep in mind that your own online activity can pose risks to your children. The app “Take this lollipop may make you think twice before you share. Grooming is when someone builds an emotional connection with a child to gain their trust for the purposes of sexual abuse, sexual exploitation or trafficking. Children and young people can be groomed online or face to face by a stranger or by someone they know-for example, a friend, family member or professional. From 1st July 2015, the Prevent Duty became law. This is a duty on all schools and registered Early Years providers to have due regard to preventing people being drawn into terrorism. British Values are a set of four values introduced to help keep children safe and promote their welfare. 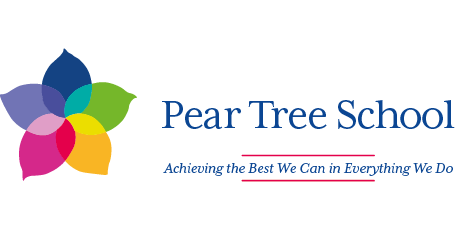 The promotion of British Values is firmly embedded in the work that we do at Pear Tree every day. Mutual respect and tolerance for those with different faiths and beliefs and for those without faith. How do these translate into child speak and our work every day? encouraging children and young people to make choices and decisions. This is all about developing a positive sense of self, self-confidence and self-awareness. It is about developing an awareness of people and communities. how to form appropriate relationships with others. We naturally have an ethos of inclusivity and tolerance, where views, faiths, cultures and races are valued and where we encourage children to engage with their wider community. It is our job to help our children and young people to appreciate and respect their own culture and the culture of others. To help them explore similarities and differences between themselves and others; among families, faiths, communities, cultures and traditions. As adults we all need to demonstrate these fundamental values in practice but being a role model is not simply enough. We also need to encourage our children and young people to practice them and challenge stereotypes.